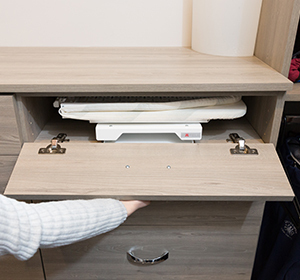 Choosing the perfect drawers and trays for your custom closet and other home organization spaces depends on your specific needs. 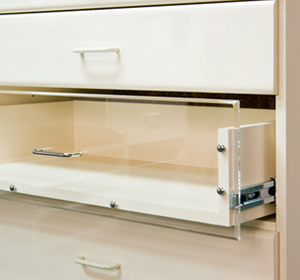 Clear acrylic drawers are a great fit for home offices or kitchens but are not ideal for storing socks or toiletries. 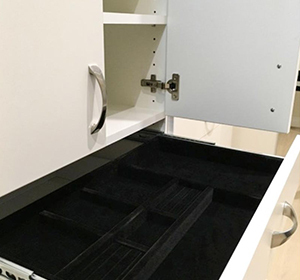 Beyond Storage has a wide variety of custom drawer and tray options for you to choose from including built-in jewelry drawers with trays and pull-out tables. 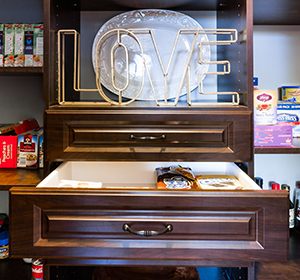 From your bedroom to your kitchen, we have the perfect storage solution for any room in your house. We even install custom tool drawers for garages and workshops. 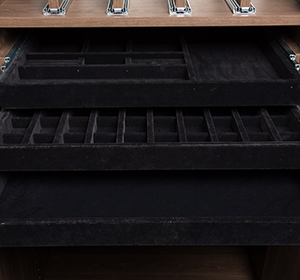 Our designers will work with you to find the best custom drawers and trays for you storage needs. 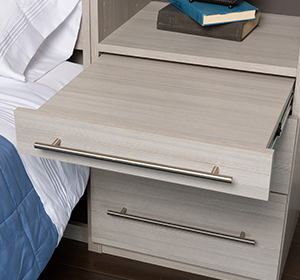 Contact Beyond Storage for more information on custom drawers and browse all of our storage accessories.